Buy to let (BTL) investors are looking to the cheaper end of the market, chiefly in lower priced areas, as low interest rates still encourage buying, but tougher regulation of buy-to-let mortgages is beginning to dampen demand for more expensive homes in pricier locations. Total mortgage lending for buy-to-let went from £16.4bn in 2012 to £27.4bn in 2014, and at the present rate this could to reach £31bn in 2015, that’s according to the Council for Mortgage Lenders (CML). The BTL market has been growing rapidly recently, to such an extent that the Bank of England (BoE) is becoming concerned about the stability of lending banks, should there be another downturn. The Bank, in conjunction with the Treasury, are therefore regulating the previously unregulated buy to let mortgage lending regime. In addition to this, tough new tax regulations were proposed in the last Budget by George Osborne, along with some more onerous rental rules, including Right-to-Rent checks, all of which will make BTL less attractive, and the task of buy-to-let landlords more onerous. The researchers used price comparison websites to gather their data. 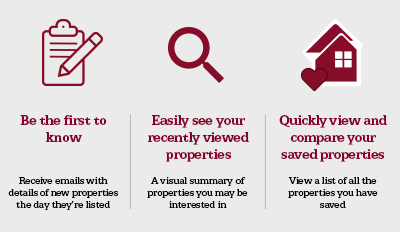 The research showed that Internet searches for mortgages on homes worth less than £150,000, in the three months to September 2015, rose to by around 15% compared to 12 months ago. In the same period those potential buyers seeking properties between £250,000 and £499,999 fell from 44 per cent to 24 per cent over the period. The limiting of mortgage interest tax relief available to landlords, measures which start to come in from 2017, should already be being factored in by borrowers, but some have yet to appreciate the full effect this will have. The research shows that borrowers are switching from the previous hotspots of London and the Southeast to other parts of the country, where rents remain relatively high but prices significantly lower. “You’re making a much better return pound for pound,” said Murphy. Wealth manager Brewin Dolphin found that four out of five BTL investors appear to be ‘blissfully unaware’ of tax changes that could hit the income they currently enjoy from their properties. Over-optimistic BTL investors, he thought, may be walking unknowingly into a “disaster waiting to happen”. 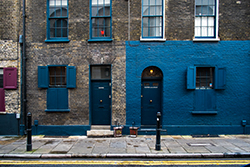 Residential BTL landlords could see their rental incomes reduced considerably when the maximum amount of tax relief they can claim on mortgage interest falls from the current 45% and 40%, the top levels of tax, to the basic rate of 20 per cent. The new policy will be phased in over 4 years from April 2017, and completely implemented in 2020. For the 65% of BTL investors owning their properties outright, and the lower rate tax payers will be largely unaffected by the tax changes, but for those who have seriously built-up large portfolios on borrowed money, and especially those on high rate tax bands, the change will worrying.